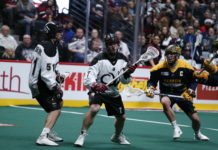 The National Lacrosse League today announced that Mammoth defenseman Joey Cupido is the 2018 NLL Transition Player of the Year. 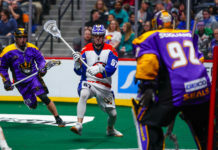 In the 2018 season, Cupido scored the second-most points of all NLL defensemen (27), posting the second-most shorthanded goals in the NLL (5). For the Mammoth, Cupido was second in loose balls recovered (111), moving into fifth in Mammoth history with 607 regular-season loose balls in total. 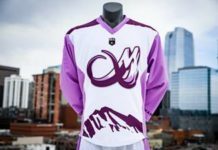 Already one of the Mammoth’s longest tenured players, Cupido signed a five-year contract extension with the Mammoth in June. This is the second time Cupido has received the Transition Player of the Year Award, having been given the award for the first time in 2015.